“Spy” is a perfect tonic to today’s super serious movies depicting undercover chicanery. McCarthy portrays Susan, a ex-teacher-turned CIA desk jockey, who often is paired with superspy Bradley Fine (Jude Law). When Fine is disposed of, it is up to Susan to complete his international mission, under the disguises of cat lady and unmarried tourist. 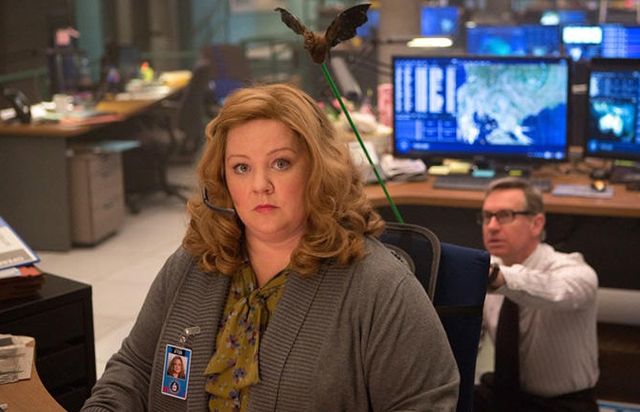 Like Feig has done in his previous films, “Spy” loves the juxtaposition of having the unlikely Melissa McCarthy as the world’s greatest operative. Paul Feig has had a long and very funny career as an actor, writer, director and producer. After leaving UCLA in the mid 1980s, he worked as a Universal Studios Tour Guide and stand up comic. He did bit parts on TV until the mid 1990s, when he had a role in “Heavy Weights,’ co-written by Judd Apatow. That led him to create the legendary “Freaks and Geeks” TV series in 1999, and began his status as a writing, directing and producing juggernaut, which included stints with TV’s “Arrested Development,” “Nurse Jackie” and “The Office,” plus the hit films “Bridesmaids” and “The Heat.” He also has currently created, and has directed, a Yahoo! online series called “Other Space,” and is producing “The Peanuts Movie,” coming in November. HollywoodChicago.com interview Paul Feig at a promotional stop in Chicago for “Spy” a couple months ago. His presence and enthusiasm is exactly what you’d expect from a master comedian creating movies. HollywoodChicago.com: As you were sitting down to write the screenplay for ‘Spy,’ what template for past cinema spy movies did you most want to follow? And how did that establish the style you used as a director in the finished product? HollywoodChicago.com: Your comedies tend to work on a couple levels…sending up the conventions of the subject in extreme absurdity, and also establishing a sense of bureaucratic reality – the office drones and birthday cakes at the CIA. How do you think that most effectively creates comedy? Feig: I love the banality of evil, in all its forms. In the movies, we always see the most glamorous side of things. When I was doing ‘The Heat,’ I was able to go to the FBI. What I thought would be so cool turned out to be a downtrodden office. [laughs] So I wanted to do the same thing, show it as it really is, not glamorous. Jude Law was out doing the glamor part, all his counterparts were working in squalor. HollywoodChicago.com: This is your third collaboration with Melissa McCarthy, and much of the credit for discovering her brand of talent was launched in “Bridesmaids.” What does Ms. McCarthy possess that connects you as soulmates, and creates the power of her performances in your films? Feig: To me, she is like an ‘every person,’ and I really love the underdogs of the world. Everything I write is about the persons you’d never notice if you were walking down the street, because I think they have the best stories. Plus so many of us feel like that person in real life. Melissa is an unassuming, relatable person who is just trying to get through life. I feel that audiences are immediately with her. The Melissa in real life is totally different than the balls-out characters I create for her in my films. I wanted to give her a different shade in ‘Spy,’ and I also wanted to show what is funny about her, a nice person put into extraordinary circumstances. HollywoodChicago.com: To amplify that point, your casting is very precise, and you make comic characters out of straight drama and in this case, action stars. How much of your casting decisions are based on instinct and observation, rather than past performances? Feig: To me, I cast from both sides, depending on who the person is. For example, I love Jason Statham, and I knew he could be funny – I saw him be funny in ‘Crank’ – so clearly he has a sense of humor. So how can I take the action person that we know, and twist it in a way to make it funny. 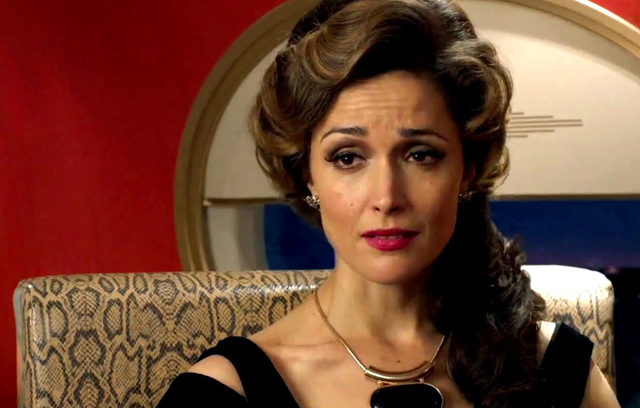 Another example is Rose Byrne. I wrote her part originally to be a 19 year old, spoiled rich kid. I wasn’t even thinking of Rose for the part, until I met with her again at an event. I thought about her, but I knew I had to reinvent the part if she worked. She came in, and read with Melissa, using a cold British accent and saying these kindly worded insults – I knew we’d found it, and it was hilarious. I rewrote the part from there. She builds these characters from the ground up, and they become so real to her, that she inhabits them. HollywoodChicago.com: It was interesting to use the real CIA as a setting and atmosphere for the spies, rather than a fake organization. What were the negotiations like to use the CIA as a punchline, and in exchange did you finally find out who killed JFK? HollywoodChicago.com: Because of your high profile films like ‘Bridesmaids,’ ‘The Heat,’ ‘Spy’ and the upcoming female version of ‘Ghostbusters,’ are you becoming the 21st Century equivalent of George Cukor, the legendary ‘female’s director’? What makes directing women in the way you do more comic, in a sense, than directing men? Feig: I just relate to funny women more, and I find their comedy more humorous. I’ve always been a sensitive guy, sort of made fun of as a kid. So besides my fellow sensitive guy friends, all other guys were this army waiting to kill me. Guys can be very aggressive, so I just found girls to be goofier. It was more pure and fun. Those are basically the people I found to be funny, when I started writing. I’ve always struggled to write for men, interestingly enough, I equate it to a woman trying to write for a guy. I have a very feminine take on the world, I guess. HollywoodChicago.com: You created the legendary TV show ‘Freaks and Geeks,’ basically from your own life experiences, and its arguably one of the most influential TV shows in the past generation. The confusion of NBC about the show was almost comic in itself. How do you feel now about its cult status, and do you think it would work to bring the characters back in a film version? Feig: I don’t know. I’ve never seen a good reunion. [laughs] They’re usually sad, because you see how old everyone has become. However, the ‘Freaks and Geeks’ cast are all in their prime, and a lot of them are movie stars, so we couldn’t afford them. I understand why NBC canceled it, I would have canceled it too. First, we were the lowest rated show most weeks, and we were actually very expensive. That’s also the era when games shows like ‘Who Wants to Be a Millionaire’ were hot, and they cost a fraction of scripted shows like ours. It was a pure economic decision, I’ve had enough producing experience to be a realist. If we made the show today, we probably would have had an afterlife on streaming sites online. I worked on the first season of ‘Mad Men,’ and we had no ratings, but as soon as the DVDs came out and people watched all of them in a row, it took off. HollywoodChicago.com: ‘Bridesmaids’ worked on several levels, but ultimately was about trusting your friendships to make you whole, and the empowerment that has to save you during a crisis. How did you get to that type of philosophy? Feig: I was an only child, so to me friends became my everything – that is the real glue. Your family is who you are stuck with, but you pick your friends because you have bonded over some ethereal thing – you both like sci-fi, or find similar things very funny. I really take that to heart. But I observed my wife over the years, and her friendships. Female friendships have a slightly different dimension. It’s a more intense bond, and the relationships seem to be harder, but if it survives that ‘hardness,’ it becomes immutable. So I observe the female friendships that worked, and I use them as the greatest friendships that can be, when creating the films. HollywoodChicago.com: You are producing the upcoming ‘The Peanuts Movie’ animated film. How important was it to establish a particular tone for it, since Charles Schulz had a tone that – with the later-era commercialization of his characters – had become somewhat lost? Feig: When I came on they had just sort of started it, and it had already been announced that it would be a CGI animated version, and heads started to explode. Everyone thought it would be a modern nightmare, with rap music and such. [laughs] But when I came in, thinking I would guard the tone of the early comic strip, the production team was already guarding it religiously. The animation is based on Charles Schulz’s pen lines, it’s amazingly cool. His son and grandson have written the film, to prevent the Hollywood machine from exploiting it. There are children doing the voices again, cast to sound like the ones we grew up with, and so it’s all pure of heart. HollywoodChicago.com: You directed one episode of the legendary ‘Mad Men,’ which has finished its run. What overall influence do you feel the show has had in television history? Feig: When I worked with Matt [Weiner], he had the same obsession for detail that I had with ‘Freaks and Geeks’ – no prop was too insignificant to get the period right. At the end of the day, it’s all about attention to details, on top of all the great writing and acting. That made the show a complete experience, with no false notes. HollywoodChicago.com: We grew up in the same generation, kids in the 1960s and young adults in the 1980s. What do you think our generation has contributed to the world? Feig: Well, we have a president, but the minute you see your guard coming in, you know when he is on the way out, we’ll become the dinosaurs. It’s comedy that is my obsession, and it’s very easy to become irrelevant. You have to listen to the younger generations. HollywoodChicago.com: What’s an example of that? HollywoodChicago.com: You directed the last show of ‘The Office’ that Steve Carrell was on. What had you learn about ‘last shows’ that you wanted to put into it? Feig: First, Steve Carrell is the most beloved man in the world. It was his last episode, but the show was to continue, and everyone who was doing the last scene with him was literally weeping. We were all getting caught up in it, it was so emotional. But then I thought, wait a minute. This is the character Michael Scott, who drives everyone crazy. No one would be that sentimental about him leaving. So I asked everyone to get it out of their system, before we’d shoot their last scenes with Steve, and then we filtered the good-byes through Michael Scott the character, which was another day, and just an annoying guy leaving. That, I think, is what gave it the power at the end, and It felt real that Michael had broken through with the character of Pam. HollywoodChicago.com: Who were the comedy people that influenced you, and more importantly, made you laugh? Feig: Well, of course Monty Python and Woody Allen, plus all the TV stuff back then, especially the Norman Lear shows like ‘All in the Family.’ Then there were the movies like ‘Animal House,’ ‘The Blues Brothers’ and ‘American Werewolf in London,’ all John Landis films. And Blake Edwards was one of my heroes. HollywoodChicago.com: You do seem the have the same sort of rhythm in your films as his best stuff.